For a book that addresses ministry-based infidelity and restoration in a holistic, redemptive context see the “What I’m Reading” section below. When working with husbands who have been abusive, you will find that most all of them have a stubborn blindness to what they are doing that is destructive to their wife. Their habit patterns are to blame and to accuse rather than take the time to reflect upon their own attitudes and behaviors. When they are asked the question, “Why did you behave that way?” their answer is always externally referenced rather than internally referenced. I am a psychiatrist who treats mental health issues during pregnancy and the postpartum period. I had thought that this would somehow make me immune to postpartum depression, as though I could have seen it coming from a mile away and warded it off. But I was wrong. Quite frankly, I never thought it would happen to me. Consider this seminar that addresses depression from a suffering perspective. It’s easy to think our intentions are good. I thought that originally, too. But maybe we should distrust our intentions a bit more than we do. Even if our base intentions are good, we should always be on guard of having mixed motives. Love can often attach itself with the sinful desire to know other people’s stuff, to be “in the know,” or to feel puffed up that our lives aren’t so messy. Here is a collection of my favorite posts related to character. Emotional intelligence is the “something” in each of us that is a bit intangible. It affects how we manage behavior, navigate social complexities, and make personal decisions to achieve positive results. Despite the significance of EQ, its intangible nature makes it difficult to measure and to know what to do to improve it if you’re lacking. You can always take a scientifically validated test, such as the one that comes with the Emotional Intelligence 2.0 book, but unfortunately, most such tests aren’t free. So, I’ve analyzed the data from the million-plus people TalentSmart has tested in order to identify the behaviors that are the hallmarks of a high EQ. What follows are sure signs that you have a high EQ. Restoring the Fallen: A Team Approach to Caring, Confronting & Reconciling by Earl D. Wilson, Sandy Wilson, Paul Friesen, Virginia Friesen , Larry Paulson , & Nancy Paulson. When brothers and sisters in Christ fall into sin, how should the church respond? Very often, Christians stumble in their attempt to address this issue. Either they ignore the wrongdoing or they banish the wrongdoer. The authors of this groundbreaking book advocate another way: the spiritual care team. A spiritual care team is a small group of mature Christians who voluntarily commit themselves to support and guide another through the process of repentance and restoration. 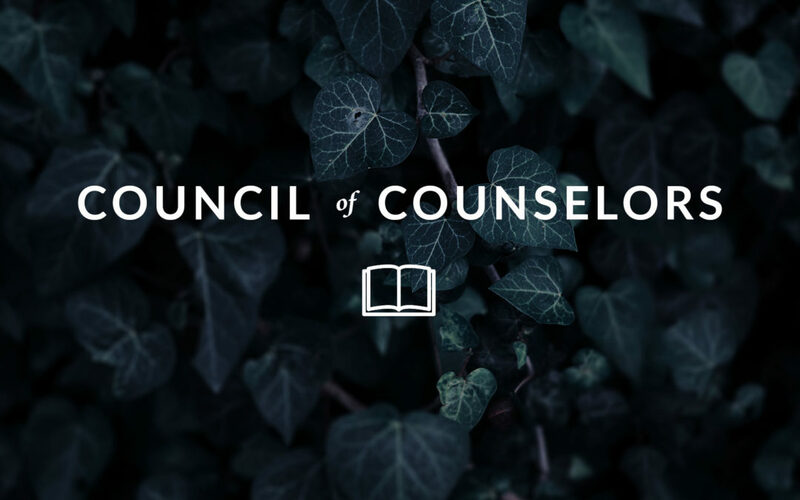 This community-based and community-oriented approach emphasizes the importance of acknowledging sin, making repentance complete and reestablishing personal spiritual discipline. 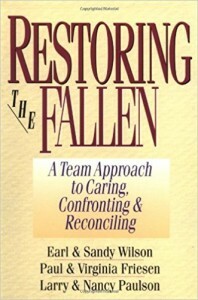 Restoring the Fallen offers practical guidance on how to form a spiritual care team, as well as how to support the spouse and family of the one working through the process of restoration, how professional helpers and the whole church body might contribute to restoration, and how to provide ongoing care after the main work of the spiritual care team is complete. It is an essential book for pastors, counselors and church leaders. Please don't dismiss someone else's story because it's not your own. Listen. Ask God for understanding rather than being critical.